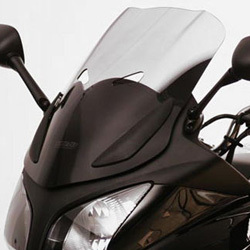 "Just wanted to say thanks for the Vario windscreen which does exactly what you said it would. This shouldn't be remarkable but, of course, in the real world it is. The fitting was spot on (although I had fun getting the Honda rubber screw covers back on) and the wind "calming" effect is remarkable - making higher crusing speeds easily sustainable without neck ache. Should be Honda original equipment, or at least an option." !quote, 39269, cbf 600 s, cbf600, CBF600S, CBF600SA, CBF, 600, SA, windshields, wind, shields, windscreen, motorcycle, motorbike, sportsbike, vision, vario, touring, screens, vario-screens, vario-shields, gray, grey, tinted, smoked, ecran, vent, pare-brise, 04, 05, 06, 07, 08, 09, 10, 11, 4, 5, 6, 7, 8, 9, 10, 11, 2004, 2005, 2006, 2007, 2008, 2009, 2010, 2011, cbf, 600, cbf600sa, absm cbf600s! No Problems, as described,very pleased. !57802, 4025066126521, xcreen, xscreen, x-screen, windshields, wind, shields, windscreen, motorcycle, motorbike, sportsbike, vision, vario, touring, screens, vario, vario-screens, vario-shields, gray, grey, tinted, smoked, ecran, vent, pare-brise, 04, 05, 06, 07, 08, 09, 10, 11, 4, 5, 6, 7, 8, 9, 10, 11, 2004, 2005, 2006, 2007, 2008, 2009, 2010, 2011, cbf, 600, cbf600sa, absm cbf600s!